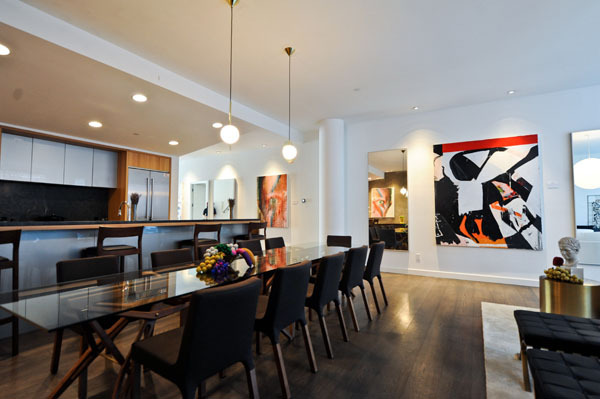 An impeccable luxury duplex situated within the SoHo Mews complex in the heart of Soho, Manhattan showcases a stunning exhibit of established and emerging contemporary artists curated by Anya Firestone, an art strategist, and critic. 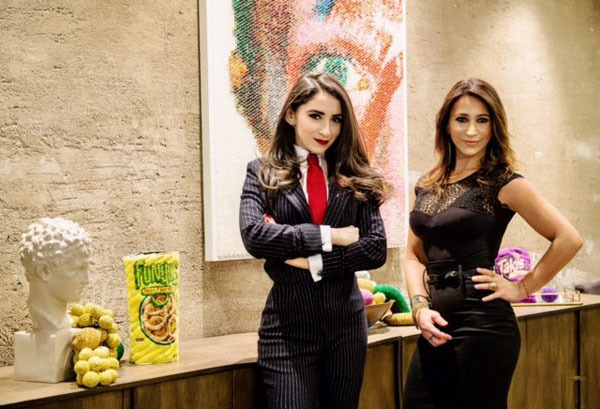 Art enthusiasts who attended the sophisticated opening event last month in February got a taste of what it would be like to live in this spacious 2, 877 sq. 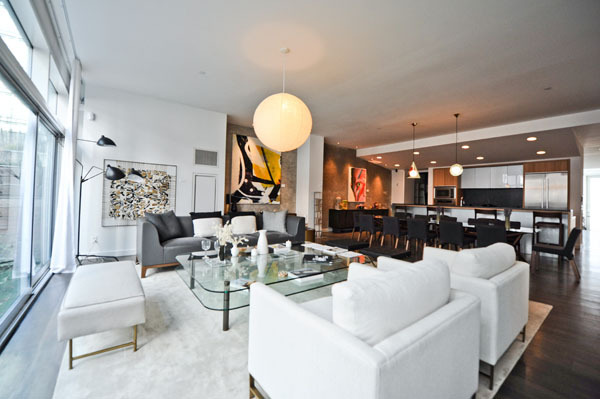 ft. 3-bedroom, 2.5 bathroom luxury condo, as they walked through and enjoyed the various contemporary artwork that imaginatively and elegantly decorated every room on the property—–this gorgeous two-story townhouse is currently on sale by Darryl Sherman and Ryan Serhant of Nestseekers International. From the charming 280 sq. ft. private garden terrace, the home flows into an expansive open-concept living room, dining room and kitchen, where it boasts several pieces of installations, large formatted paintings, and mixed media works, including colorful Bowie (Injection), an acrylic paint filled in bubble wrap painting by Bradley Hart. Guests enjoyed a glass of wine and some hors-d’oeuvres freshly prepared by talented chefs around the massive eat-in island in The Gwathmey Siegal designed kitchen featuring high-end stainless steel appliances from Dacor and Liehberr. From here, guests continued their tour on the upper level where several pieces of artwork adorned the walls throughout the office space and the two bedrooms that overlook the garden. Another acrylic paint in bubble wrap painting by Bradly Hart displaying an Impressionist-inspired image of Central Park, masterfully hung in the main bedroom, featuring a spa-like bathroom with radiated heated floors, a walk-in shower, and a separate bathtub. Located on a secluded street, this full-service luxury condo offering residents first-class amenities that includes a parking garage can be yours for $5,999,999. For inquiries about the property, please contact Darryl Sherman at 240.418.9710.